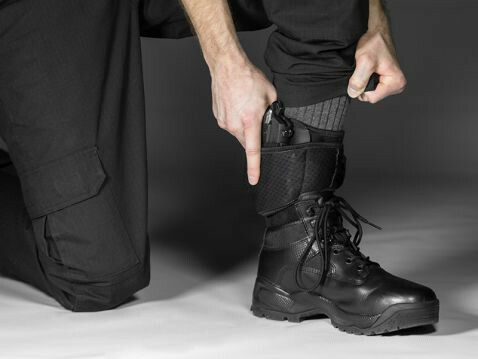 Just because you carry with a Ruger LC9s Pro ankle holster doesn't mean you should sacrifice comfort, function or anything else for the sake of mere convenience in carrying on the ankle. 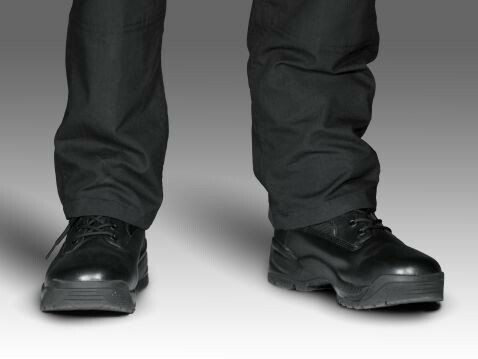 A lot of ankle holsters ask you to accept some sort of shortcoming. Alien Gear does not. 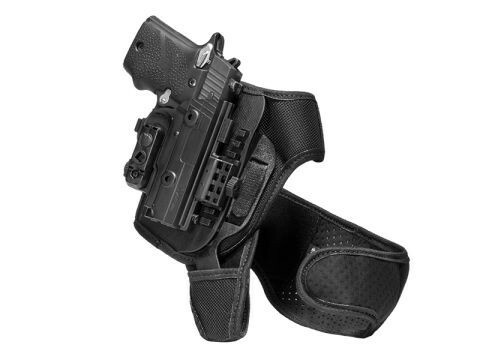 We want to you to depend on and enjoy carrying with our ankle holster for Ruger LC9s Pro pistols. Never accept flapping, jostling or the holster riding up and down. 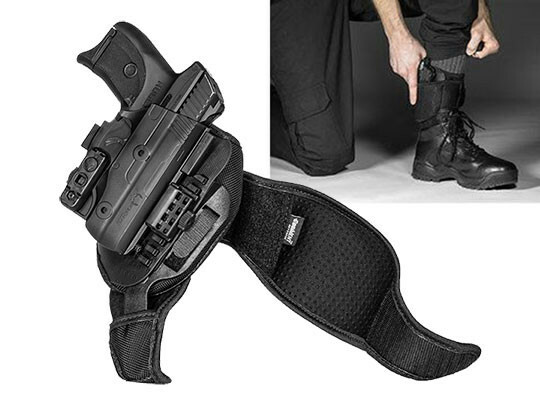 Our Ruger LC9s Pro ankle carry holster uses a two-piece design, with a heel strap and ankle strap, with a durable polymer insert that connects the two. Once fastened, it stays exactly where you set it. You also don't get the hot spots and chafing that you get from other materials. 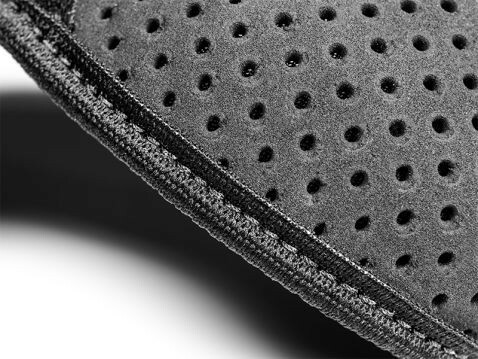 The strapping is made from our Cool Vent perforated neoprene. 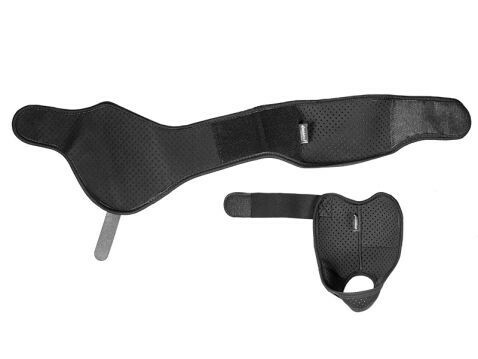 The material breathes against the skin and wicks away moisture, making this holster comfortable during extended usage. Most ankle holsters are merely endured. Ours is designed to carry well. 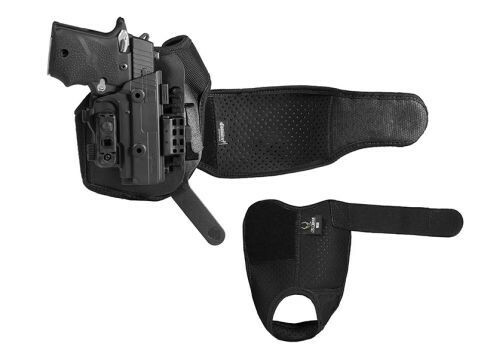 The holster itself is custom molded for the LC9s, as it is the ShapeShift shell with a full-length outer shell and trigger guard shell on the interior. The ShapeShift fully wraps the trigger, enhancing security and retention. You don't have to rely only a haphazard thumbstrap; retention is fully adjustable as is the ride height. Set the draw and carry position of your preference. 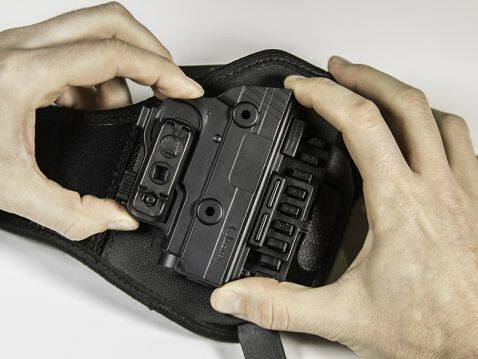 The ShapeShift Ruger LC9s Pro Ankle Holster also comes with Alien Gear's Iron-Clad Guarantee, including the 30 Day Test Drive trial period and Forever Warranty, a full and comprehensive warranty against all defects and damages for the lifetime of the holster. Shift to a better ankle carry.